Aromatherapy allows you to take control of your body and your environment; the use of plant oils, including Bath Island's Essential Oils and Special Care Oils, enables you to enhance both your psychological well-being and your physical health. While aromatherapy is not a substitute for the care of a licensed physician or therapist, the use of essential oils can help ease discomfort and provide the relaxed and stress-free emotional state that is key to your health and happiness. 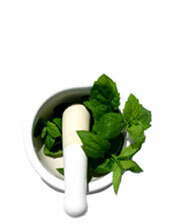 The use of essential oils for relaxation and mental health is what is generally meant by the term "aromatherapy." In this Aromatherapy section, you will find our Insights and Techniques page, where you can learn about the common ways of using aromatherapy overall, including Bath Island®'s Essential Oils and Special Care Oils. The Scent Guide gives you some aromatherapy basics that identify special scents and the effect they can have on your emotional health. Most of our bath, body and skincare products can be custom scented with our Essential Oils and Special Care Oils so that aromatherapy is not a special event, but a daily pleasure. Custom Scent your favorite Bath Island skin care products with scents that take you to a place of relaxation and peace.